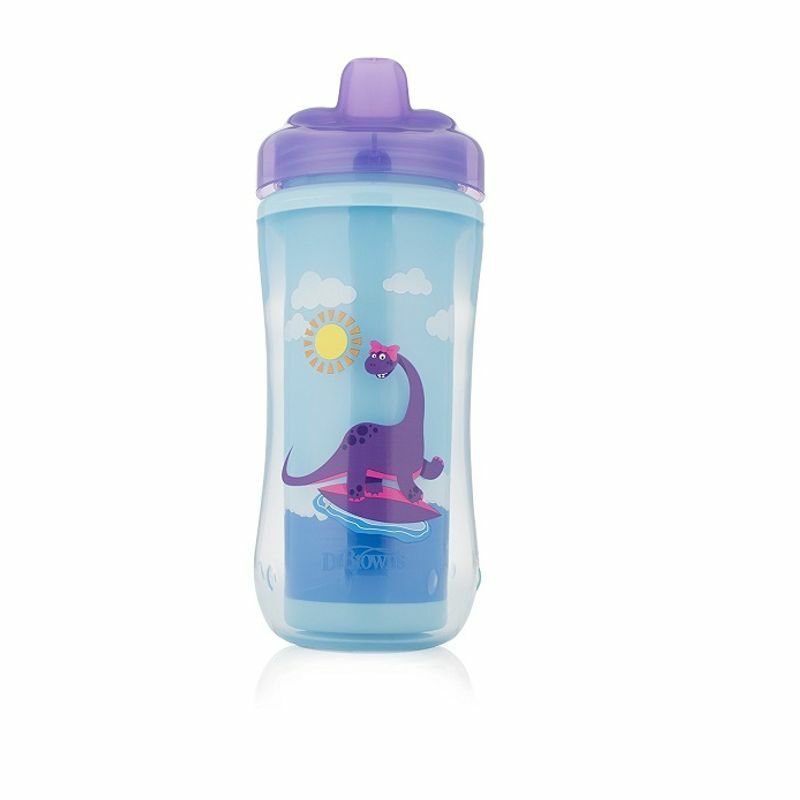 This spout by Dr. Brown's is perfect for developing your little one's sipping skills, even on the go. Durable, lightweight and designed to keep drinks fresh and cool, this 10-ounce insulated cup is perfect for a little guy or girl who is in constant motion. Features a spill-proof hard spout with a one-piece silicone valve in place to develop your toddler's sippy cup abilities, without having to deal with messy clean-ups. Eye-catching, kid-friendly graphics make using this cup fun and exciting.